who has diligently worked by his side for the cause of Christ. They have been blessed to have four children: Malik, Miles, Marcus, and Hanna. who were strong in the Lord. 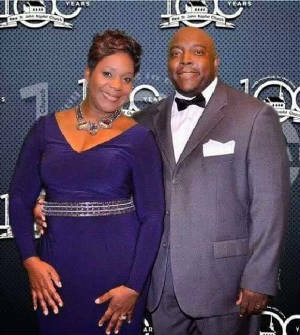 He is the son of a Deacon and Deaconess Joe and Annie Baker who reside in Sparta, Ga.
Rev. Baker is a graduate of DeVry Institute of Technology in Atlanta, Georgia where he earned an Electronic Engineering Degree. for the following companies for the past 20 years: IBM, Solectron & Flextronics in a variety of management roles. Dr. Robert H. Leak at New St. John Missionary Baptist Church. 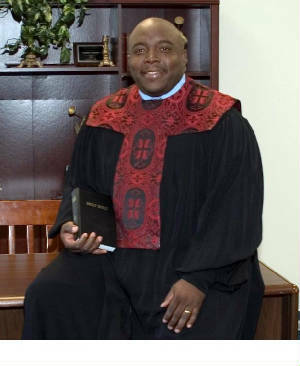 In March 2009, Rev. Baker was installed as Pastor of the New St. John Baptist Church. Pastor Baker believes that the Holy Bible is the true Word of God and that Salvation is by none other than Jesus Christ. Therefore, he prides himself in teaching and preaching God’s uncompromising Word. He strongly believes in tearing down traditional attitudes within the church and getting on with the business of giving God our very best ministry possible.